Women just go crazy experimenting with different hair colors and there are also some who change color almost every week. I know that it is rather stupid thing and it can damage hair up to fatal results. Still thanks to zillion semi-permanent hair colors that don’t include harsh chemicals coloring process has become less harmful and frequent experiments are justified. The guarantee of flawless look depends on several reasons like high class coloring products, perfect condition tresses and proper color protective steps. But the most important thing is the ability to choose color perfectly suitable for skin tone. The latter factor is utterly important because when you neglect it and choose wrong shade your face may look pale and dull so coloring process should be begun with analyzing skin tone. Long hair still remains the best way to accentuate woman’s femininity and elegance and that’s why women try to keep hair long. Of course not everyone can maintain long hair, the others don’t have natural healthy tresses and the best way is to go shorter. Still every single girl wishes to have super long locks cascading down on shoulders. Today there were so many ways to keep hair healthy and if you really want to be one of the owners of smashing long hair you will surely be able to grow out hair. There is another way to have long hair in a flash. You can use natural hair extensions that will provide you with desired long hair. Still it is temporal pleasure and you cannot keep them forever. Season changes, trends change but there is one thing that will never change. Bob haircut will always be popular. With little upgraded details and twists classy bob haircut remains one of the most frequently chosen design all over the world. This has several reasons so let’s find out some of them. Bob haircut is the one that is suitable for all face shapes. Moreover, let’s consider long bob hairstyle that is perfect option for any age, face shape and hair texture. Long bob hairstyle will surely become lifesaver for all your beauty dilemmas. As a perfect source of inspiration you can turn to celebrities who have already chosen long bob hairstyle and learn some new ways on how to style it. 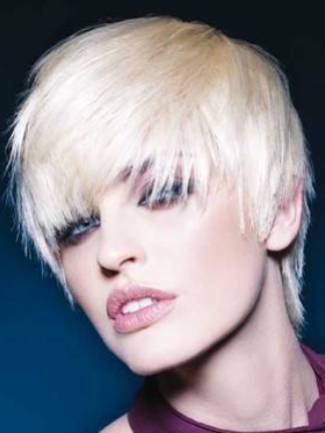 Fair blondes look fantastic with any haircut be it long or short as dazzling color already looks breathtaking. If you have already got blonde hair color but you want something new and fresh I offer you to go shorter. Of course it is very bold decision but I will try to show you all the benefits of short haircut and may be you will find it worthwhile to chop off hair. Natural blonde tresses are thin and fine and in order to make them look more voluminous haircut should be completed with layers. No matter it is long or short haircut layering will be great option to oomph up the volume. In case with short haircuts layering will be the key detail as it is the only way to create versatile and modern haircut. Thin fine hair will have extra volume with soft tapered layers. Short bob with graduated layers will look simply stunning when styled sleek or a bit tousled. Volume is one of criteria to have smashing hairstyle yet not everyone is blessed with natural thick and heavy hair. Ladies who have thin hair suffer from the lack of extra volume and here come numerous styling products for rescue. If you also suffer from thin and lifeless hair I offer you to enrich your beauty kit with all necessary products and tools and learn some lifesaving tricks that will help you to add unimaginable volume. Surely there are numerous styling tricks to add volume but before thinking about them let me tell you that the easiest way to have voluminous hairstyle is to add soft layers to the crown. Short tapered layers will boost the volume instantly even if you do not style hair. If you have already got layered haircut it is time to learn some tricks on how to create volume. For extra volume you should use volumizing shampoo and conditioner. If you have thin hair do not use conditioner otherwise the product will weight down tresses and it will be harder to add volume. So you have already washed hair and towel dried. Now it is time to style locks. 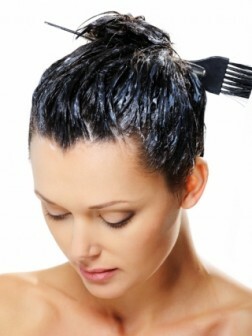 Color change is the easiest way to upgrade hairstyle and that’s why women so often go for hair perm. Today you can find zillion hair coloring products both cheap and expensive that can provide you with permanent hair color. Still most of them (if not all of them) are dangerous for tresses due to harsh chemicals included in those products. If you do care about your hair I advise you to stay away from chemical products and keep hair natural. But if you still want to change hair color you can opt for natural hair coloring. Haven’t heard of it? Well I should say that DIY masks, conditioners and hair colors are very popular nowadays and they are really effective. Beauty icons from Celebville dictate tendncies in fashion, makeup and hair trends and the reason why this statement is a huge group of devotees and fans. Actually this is great because they wear the best and the trendiest designs that are created by the best designers, makeup artists and hair gurus. It is quite wise and reasonable to get a dose of inspiration from celebs. At this time I want to represent you selection of celebrity hairstyles for round face shape. The reason why I separated those hairstyles is that more often women do not take into consideration face shape when choosing new design but I must say that it is the greatest mistake you can ever do. Hairstyle is meant to bring out your best features and at the same time hide little faults so it is worth to take this factor into account.